When asked why he rides a bicycle, U.S. Supreme Court Justice Stephen G. Breyer is reported to have said: The advantages? Exercise, no parking problems, gas prices, it’s fun. An automobile is expensive. You have to find a place to park and it’s not fun. So why not ride a bicycle? I recommend it. 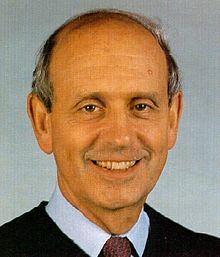 Breyer, 74, was appointed in 1994 by President Bill Clinton and is generally regarded as one of the High Court’s liberals. So maybe that’s why he is an advocate for bicycling. But I’m not into politics today. I only point out Breyer’s position on bicycling to raise awareness for 30 Days of Biking. 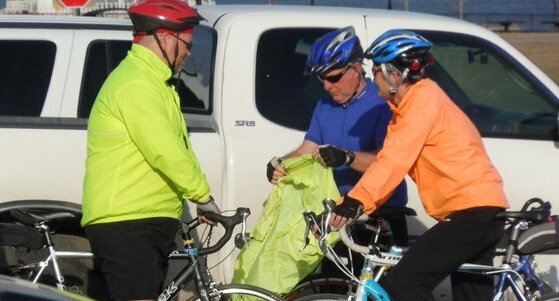 Now in its fourth year, the organizers say the only rule for 30 Days of Biking is to bike somewhere every day for 30 days — around the block, 20 miles to work, whatever suits you — and then share your adventures online. To be honest, I wimped out and didn’t ride Monday night because it was kinda cold. And I don’t know if I’ll make it today. But I am planning to ride Wednesday.